Do you think of your brand as a big or small brand? One like Disney? 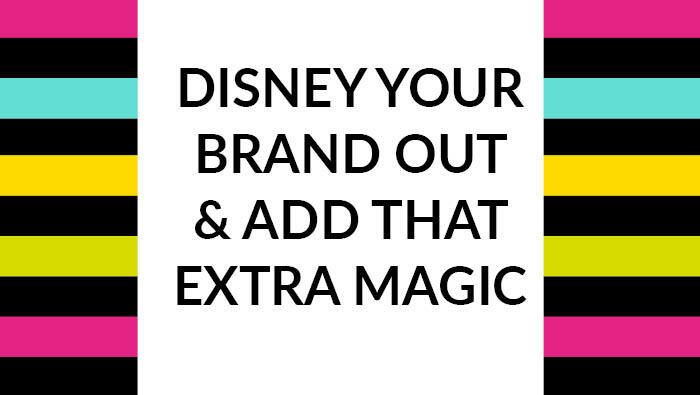 You can easily Disney your brand out and add that extra magic. I spent last week at Disneyland Paris and boy it was fab! My husband and I visited Florida years ago, before we had our son AJ, and thought Florida may be a bit too much walking for his little 5 year old legs! We so made the right decision – the two parks were perfect for him. It didn’t disappoint, literally no stone is left unturned when you enter a Disney experience. I did think that it would be different than Disney World Florida, but nope – the exact same experience was laid out before us. A Magic Shuttle picked us up from the airport. Concierge met us at the entrance of the hotel, check in – easy – smiley, happy staff. Disney shop inside the hotel, Disney logo’s on the bedding. Mickey toiletries, all featuring the famous ears on the lid tops. Themed kids area, Mickey & Minnie place mats for breakfast, Mickey head ice cream wafers… I mean I could go on! What am I getting at? I want you to start thinking like a Disney Imagineer and cast member. Design your brand with ALL of your touchpoints in mind – think about your customer experience. Consider how this can help to grow your brand. What level of service will you offer, will it always be you that they have contact with? What will your customers experience when you they encounter your brand? Consider it all. Mindmap your touchpoints… where are they and how will you convey those messages and deliver those services… are they all consistent? Consistency is queen. Deliver what your promise and your customers will believe and trust in you. Essentially what Disney have done is replicate a business framework that they can roll out everywhere. Want to know more, click here… Are you thinking of your brand as the must see tourist attraction? Want to stand out and shine online and look and feel consistent EVERYWHERE but no idea how to do it? 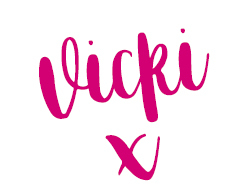 Click here to find out how to work with me. Hope some of my words of wisdom on this sunny Wednesday springs you into action and inspires you to assess your brand. Check it out to ensure you’re giving your customers the best possible experience of you and your services.